Over the past few seasons, it’s been Booker with the ball in his hands when the Suns have needed a big shot and the young guard has yet to disappoint. Whether it’s game-winners, clutch moments or buzzer-beats (or all three), Booker has continued to come through when the team has needed him most. This is nothing new for the four-year-pro who has seemingly performed in the clutch his whole life. Booker has always thrived being the one to embrace those primetime moments and credits his love of the game and his former idols to where that mentality comes from. Go-ahead bucket vs Memphis. Game-tying buzzer-beater vs Milwaukee. Game-winning buzzer-beater vs Dallas. 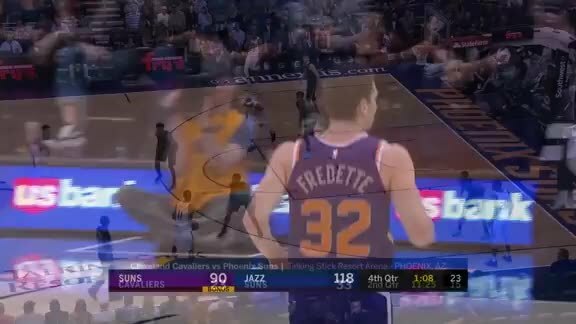 Game-winning buzzer-beater vs Sacramento. Game-tying buzzer-beater vs New Orleans. 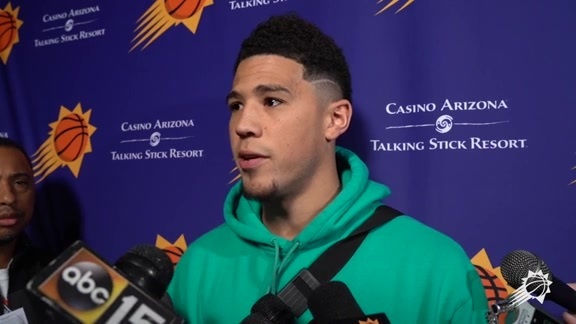 With the game on the line, Booker has made five-of-nine shots to tie or take the lead in the final three seconds of the fourth quarter or overtime. One of those misses being a 70-foot heave against Boston with 0.3 seconds remaining. To put into perspective of how impressive this is, he is tied with Damian Lillard with five makes and trailing only Russell Westbrook’s six over the past three seasons. The difference between him and the two All-Stars are the amount of attempts. Booker is shooting a highly efficient 55.5 percent (nine attempts), while Lillard is shooting 33.3 percent (15 attempts) and Westbrook is shooting 31.6 percent (19 attempts). Although he’s shooting over 50 percent in these clutch moments, even in the missed attempts, Booker accepts the consequences and will continue to take the spotlight whenever given the opportunity. Booker against the game clock will continue to be a battle for years to come as the 22-year-old’s career continues to unfolds. As one of the most efficient clutch performers in the league, it is only a matter of time until Booker steps up yet again for the Suns and adds to his historic streak.